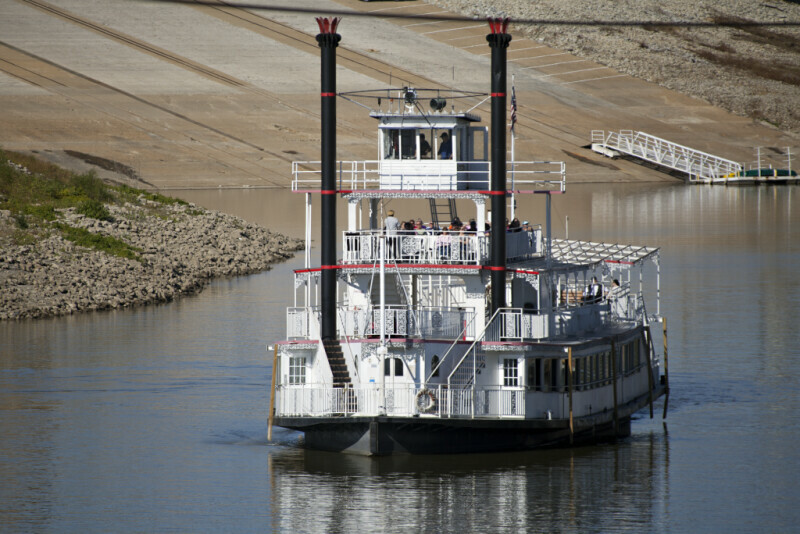 This is the riverboat Island Queen. The bow of the ship is pointed toward the viewer. There are two black and red smokestacks on the ship. The bridge is the structure at the top of the boat. WARNING: You are about to download a 25.9 MB TIFF!